Location is not awesome but fine. Facilities were more than enough, kitchen was full with equipment, bathroom also was fine, even there is a washing machine and hot water was available 7/24. The bedroom is large and comfortable. Also hosts are nice people. I would highly recommend for especially 2+ night stays. It was big and the location convenient to restaurants and town.The staff so helpful. Lovely little apartment, liked the style and especially the location. Easy checking in and out. Close to shops, bars, restaurants etc but still very quiet. Welcoming host and very nice place to stay, quiet and peaceful, close to Turkish ancient bath, harbor and taverns. Excellent location: the port, restaurants and the park are close to this apartment. Only the beach was a bit far - about 20 minutes by feet, but it was a nice walk on picturesque Chios port. Apartment is modern, bright and spacious enough for three people. There are all necessary kitchen equipment and a washing machine. The woman, who met us, Maria, was very friendly corteous and helpful. That's a pity that we didn't meet the owners of the apartment, maybe we will come back some day))) Thank you for your meeteing compliment and for our perfect vacations at Chios island. Perfect location!! 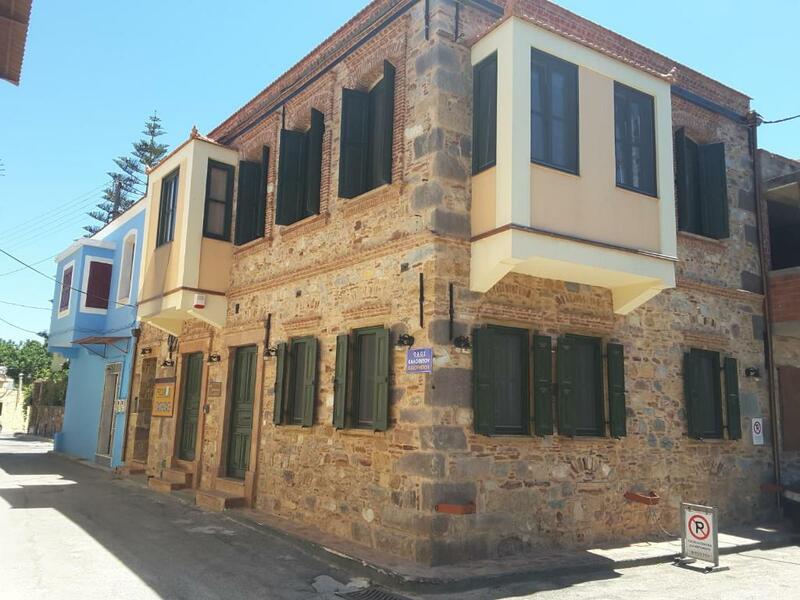 !Very close to the ferry port and chios center. You can reach all transportation contacts. Very clean room like the photos. We always contacted with Mrs. Maria. She is very relevant and kind. I can advise the Frourio who want to stay in Chios. 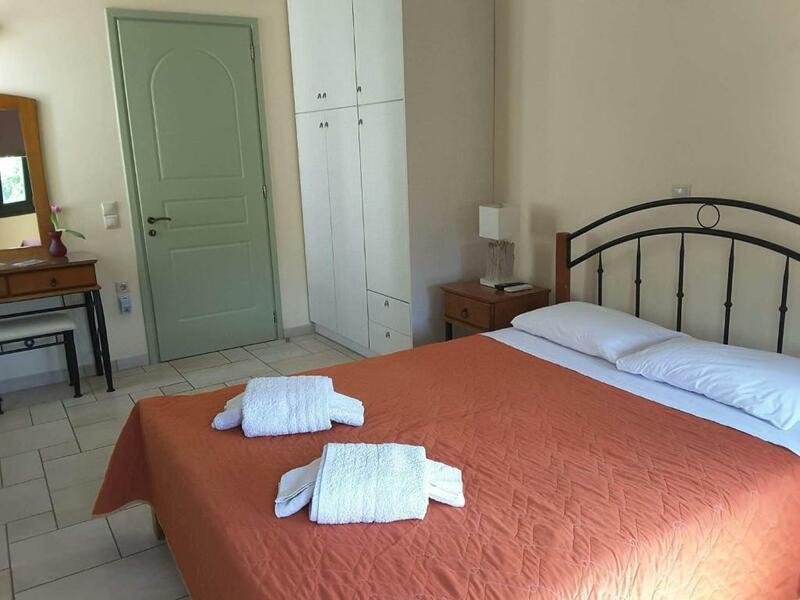 Lock in a great price for Frourio Apartments – rated 9.4 by recent guests! 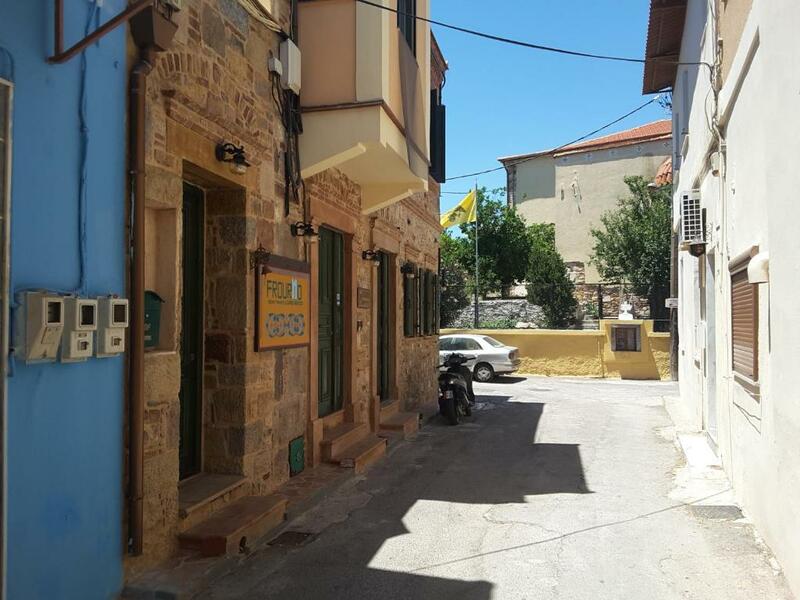 One of our top picks in Chios.The stone-built Frourio Apartments is located in the medieval castle of Chios, across from the historic St. George church, 650 feet from Chios Port. It offers self-catered accommodations with free Wi-Fi and terrace overlooking the scenic streets. 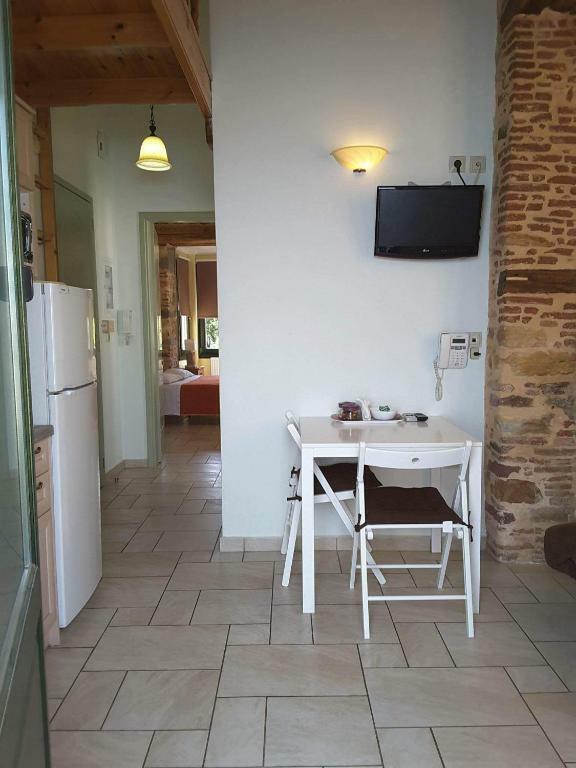 Featuring wrought iron furnishings and stone walls, all the air-conditioned apartments at the Frourio open out to a courtyard. Each has a kitchen with stove, fridge, microwave and dining area. All apartments offer a satellite TV. Staff can arrange car rental to explore the scenic Mastichochoria villages a 30-minute drive away. Chios Airport is at 1.9 mi. When would you like to stay at Frourio Apartments? 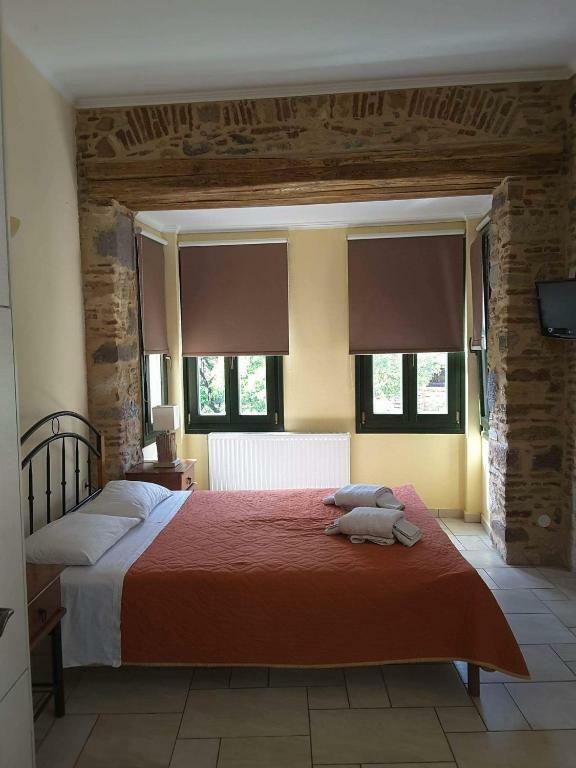 Located inside the castle of Chios, this stone-built apartment offers free Wi-Fi and terrace overlooking the scenic streets. Includes a kitchen with stove, fridge, microwave and dining area. 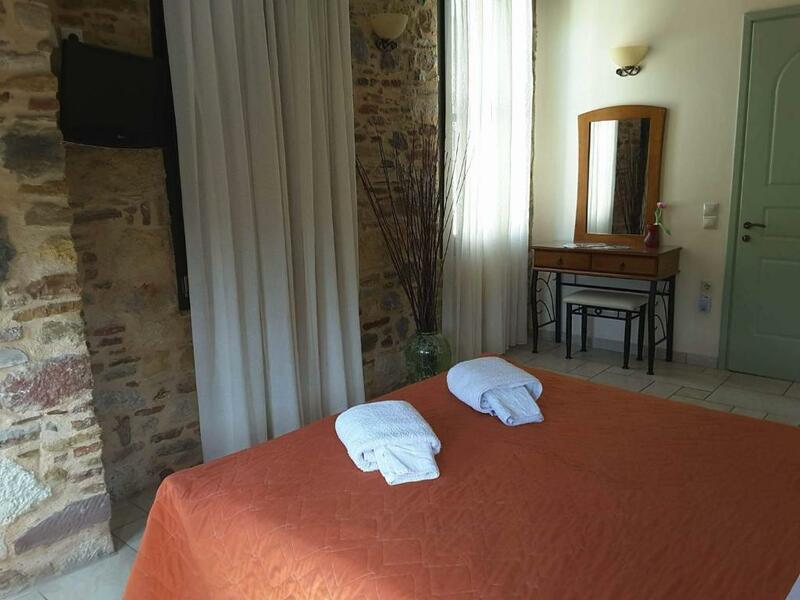 Inside the old Chios Castle and opposite the historic orthodox Greek Saint George's church! House Rules Frourio Apartments takes special requests – add in the next step! Please inform Frourio Apartments of your expected arrival time in advance. You can use the Special Requests box when booking, or contact the property directly using the contact details in your confirmation. The beautiful appartment and the castle! You cannot park so easily close to the house. Take care : some streets are very tiny ! The only thing that could be better is additional bed that wasn't convenient. The owners are really nice and helpful, they even picked us up from the airport (3 km away) and presented my husband a bottle of wine for his birthday. 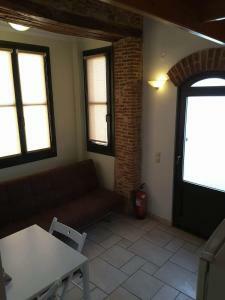 The apartment is huge and clean and the location perfect, inside the old city walls but close to everything. The building is old but beautifully modernized. 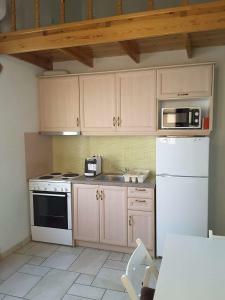 The kitchen is very well equipped and offers coffee, sugar and a coffee maker. 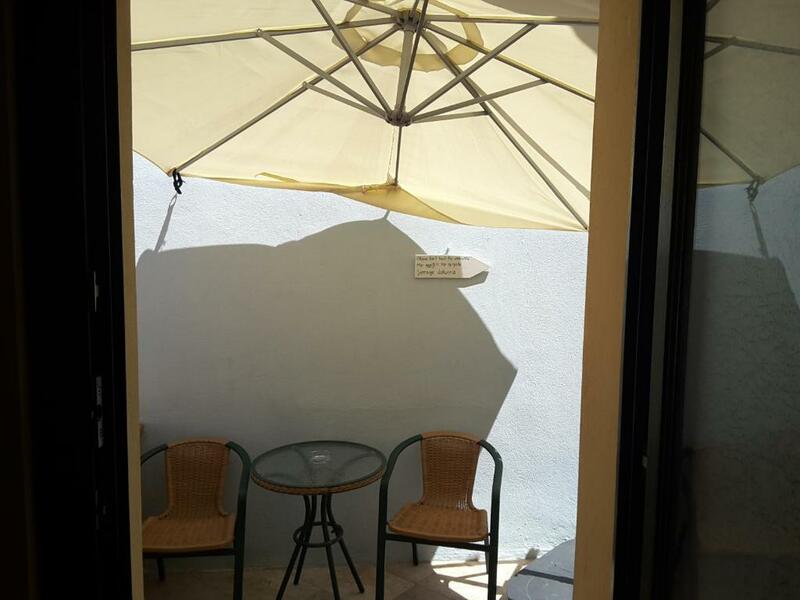 There is a veranda with a big umbrella which was perfect for sitting outside. Its 3 walking minutes to the harbour which is the centre of Chios town. Probably the best hotel I have ever booked with booking.com. Highly recommendable and we will definitely stay there again. Everything was perfect, Stefanos and his wife are really kind and helpful, we’ll be back. 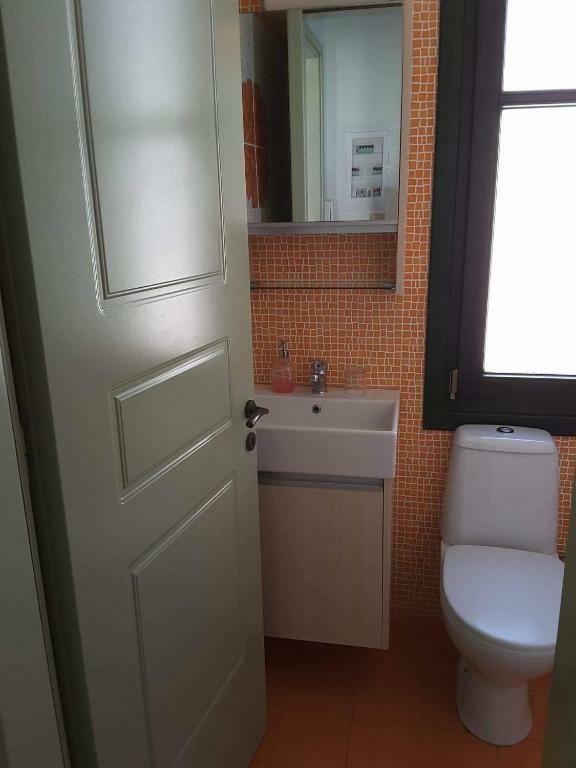 Very clean property. Good location. Good working WiFi Friendly and attentive host.